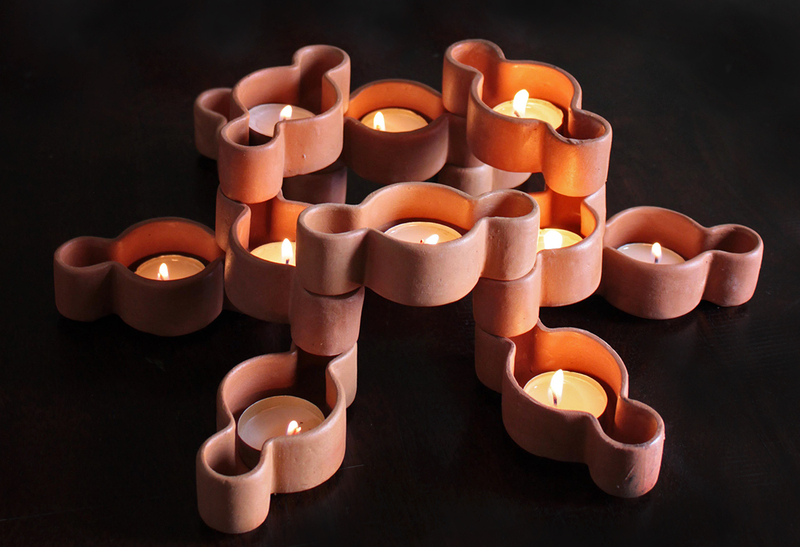 Standing true to the essence of Diwali – a beautiful array of lights, DIY-A is a set of 10 beautifully handcrafted terracotta diyas with a contemporary twist! 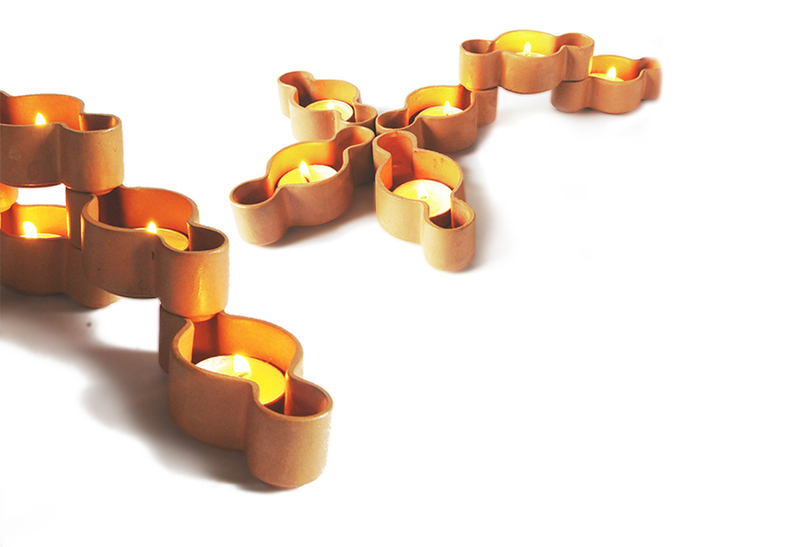 These modular “Do It Yourself – Diyas” give you the freedom and fun to build your own beautiful pyramid of lights with its versatile Lego like construction. Pair them up with tea lights or flowers and beautiful rangoli patterns and you are all set to allure goddess Lakshmi to visit your abode this Diwali!